The Brooklin Redmen were already planning for “Lacrosse Day in Durham” and all that comes with a day full of lacrosse at Iroquois Park. As part of the festivities, the Redmen are excited to announce the honouring of long time Redmen player and all-time goals, assists, and points leader, former team captain #51 Shawn Williams. As part of the celebration of Shawn’s career as a Redmen, he will sign a player’s card prior to the game and dress against the Cobourg Kodiaks. The Redmen, in agreement with their Jr. “A” affiliate, the Whitby Warriors, will also dress Shawn’s son Dyson as part of what shapes up to be a memorable evening. Williams was always a scoring threat, finishing in the top 10 in Major Series scoring in 1998, 2000, 2002, 2005, 2006, 2008, 2013, 2014, while capturing the Bucko McDonald Memorial Trophy as the top scorer in MSL in 1999 (90 PTS), 2001 (93 PTS) (co-winner), 2004 (124 PTS), 2007 (99 PTS), 2011 (120 PTS) and 2012 (80 PTS). Williams also captured the Jim Murphy Memorial Trophy as MSL MVP in 2005, 2007 and 2011. On July 26, 1999, Shawn set an MSL record for points in a game with 21 against the Ohsweken Wolves. The matchup of Major Series Lacrosse leaders Thursday resembled a doughnut for the Peterborough Lakers: it was delicious on the outside but had a big hole in the middle. The 3-0 Lakers jumped out to a 4-2 lead over the 5-0 Six Nations Chiefs in the first period, then saw that turn into a 6-4 deficit when they were able to score only once in a stretch of 39 minutes from late in the first to late in the third. They got things going in time to pull out a 7-6 win by scoring three goals in the final 2:20 for their fourth win and to become the only unbeaten team in the league. Major Series Lacrosse has elected Doug Luey to serve as its interim commissioner. 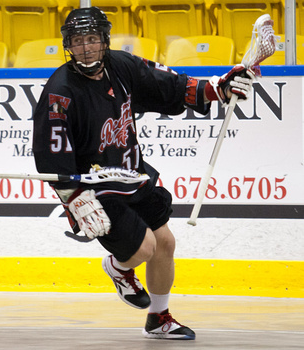 Luey has dedicated much of his life to lacrosse and is currently the director of high performance and international relations for the Canadian Lacrosse Association. He was elected to the position by a unanimous vote of the league's governors at a recent meeting. While he does not want to take on the position permanently, Luey is committed to helping MSL set a plan in place to help the league and all its teams thrive moving forward. He will manage the regular duties of the commissioner, including all player movement, while also heading the search for the right person to fill the role permanently. "I look forward to working with Major Series Lacrosse governors in 2017 as Canada celebrates its 150th birthday and Canada's national summer sport celebrates the 150th year since the written rules of lacrosse were introduced," Luey says. 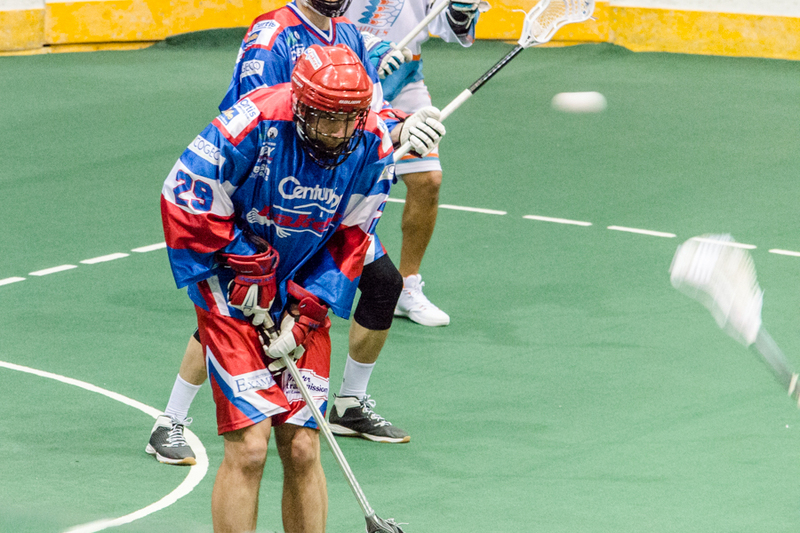 These days, everyone in box lacrosse is looking for the next Tom Schreiber. Could the Oakville Rock have found him? Oakville was missing several of its regular players when they opened the 2017 Major Series Lacrosse season by facing the Kodiaks in Cobourg on Sunday afternoon. They wound up flooring an offensive left side of callup Todd Kozak, usual transition player Brandon Slade and someone named Connor Fields. If you're just a box lacrosse person, there's a good chance you don't know Fields. He is an American field player who has starred with the Albany Great Danes in the NCAA. He puts up tons of points and has been a finalist for the Tewaaraton Award, presented to the top player in US college lacrosse. 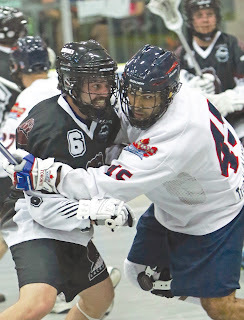 Major Series Lacrosse kicks off its 2017 season Sunday night when the Oakville Rock visit Cobourg to face the Kodiaks. MSL director of media relations Stephen Stamp provided an in-depth preview of the season on IL Indoor. Follow this link to check it out and get ready for an exciting summer of senior lacrosse action. As the Kodiaks get ready for their second season in Cobourg we are very pleased to announce Cobourg Nissan as title sponsor for the 2017 Major Series Lacrosse season. Tyler Campbell, dealer principal at Cobourg Nissan, is excited to continue the partnership between Cobourg Nissan and the Kodiaks and we are proud to have him back on board. The support from Tyler and the team at Cobourg Nissan is invaluable. The Cobourg Nissan Kodiaks are looking forward promoting and building a very successful second season in Cobourg. Cobourg Nissan Kodiaks home schedule has been released. Eight of the games will take place on Sundays with one Thursday night home game in July. All home games will once again be played at the Cobourg Community Centre. The Cobourg Nissan Kodiaks have partnered with Cogeco TV again this season and all home games will be broadcast for those who are unable to make it out to the games. The Major Series Lacrosse 2017 season opens with the Oakville Rock visiting the Cobourg Kodiaks on Sunday, May 28 and concludes on Thursday, July 27 when the Mann Cup champion Six Nations Chiefs visit the Brampton Excelsiors and the Cobourg Kodiaks travel to Peterborough to face the 2016 regular season champion Lakers. Once again, the majority of games are being held from Sunday through Thursday, with three Saturday contests sprinkled in. Each team's regular home night remains the same as it has been, with Cobourg playing Sundays, Oakville Mondays, Six Nations Tuesdays, the Brooklin Redmen Wednesdays, and Brampton and Peterborough Thursdays. Each team has eight home games on its regular night and one on a different day. Major Series Lacrosse 2017. Simple theme. Powered by Blogger.